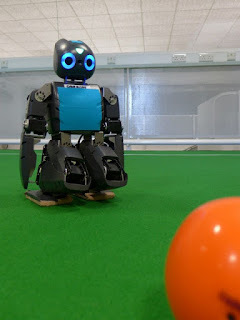 The University of Hertfordshire: Bold Hearts robots in Brazil - through to the semi-finals! 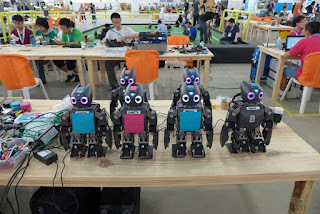 Bold Hearts robots in Brazil - through to the semi-finals! Fantastic news from Brazil! Bold Hearts, the University of Hertfordshire's robot football team, progressed through round 2 of the RoboCup World Cup, to the quarter finals, then winning that game to make it through to the semi-finals! The first two of 3 the games of the second round were played on Day 2 of the RoboCup competition. We won our first game 3 – 1 against RoboFEI-HT, from Brazil. And then lost 0 - 4 against CIT, from Japan, who was placed 4th last year. And, amazingly, we only scored one own goal! Perhaps we could have scored a goal for ourselves if the ball had not rolled away from our robot due to the uneven surface of the field - so the result is much less clear than it looks. This was an encouraging result for Bold Hearts, as it means that we are really edging towards being able to match the best opposition. In fact, we thought this game looked more like real football rather than glorified billiard with opponent obstacles. CIT was a very strong team - but we still see potential for improvement for Bold Hearts. Our third and final deciding game of round 2, was played on Day 3 of the competition against Hanuman KMUTT, a team from Thailand. We needed to win this game to progress through to the quarterfinals – and we worked through the night on our robots before going out onto the field to meet the Hanuman KMUTT team. All the hard work overnight paid off as we beat Hanuman KMUTT 3:1 - and yes, yet again, we scored all the goals! So Bold Hearts were through to the quarterfinals, also played on Day 3. The quarterfinal match against MRL, from Iran, was a highly contested, tight game with lots of man-to-man (or in reality robot-to-robot!) fighting. But our opponent, MRL, was experiencing similar problems as us - with their robots sometimes turning to face in the direction of their own goal. But the crowd cheered for Bold Hearts. And the final result was 3 - 2 to Bold Hearts. 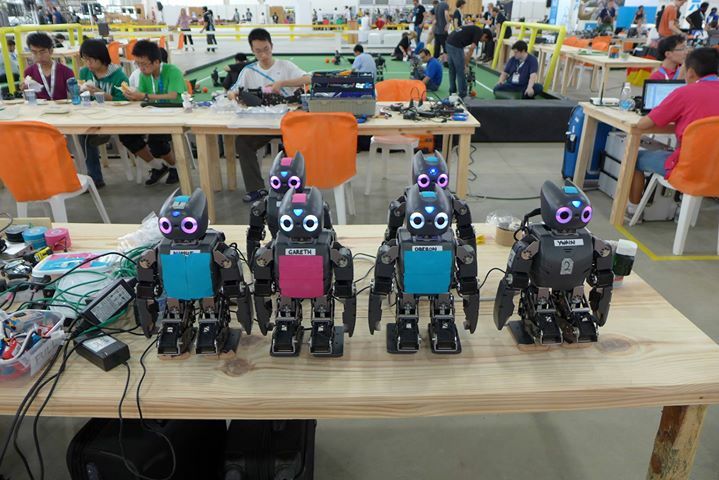 We are delighted that Bold Hearts is through to tomorrow’s semi-finals, on Day 4 of the RoboCup competition!! Wish us luck in the semi-final and that we score plenty of goals – in the opponent’s goal of course!